I’m digging the branding for this new line of Cornish pies from Lanson – it is the brainchild of two self-proclaimed grumpy old men, and it’s pronounced GrumPIES. Clever jokes and hand-drawn illustrations aside, the product is great. 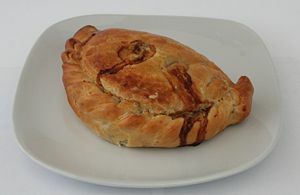 I tried the all-Cornish pork, apple and cider pie for lunch today and it was uncompromisingly meaty and flaky of crust. It’s also really nice to see someone using local, premium ingredients without taking themselves too seriously. I love the food revolution in Cornwall, and writing about it, but sometimes it can all get a bit ‘we hand-knit our own freerange cows’. What can I say? This pasty speaks for itself. 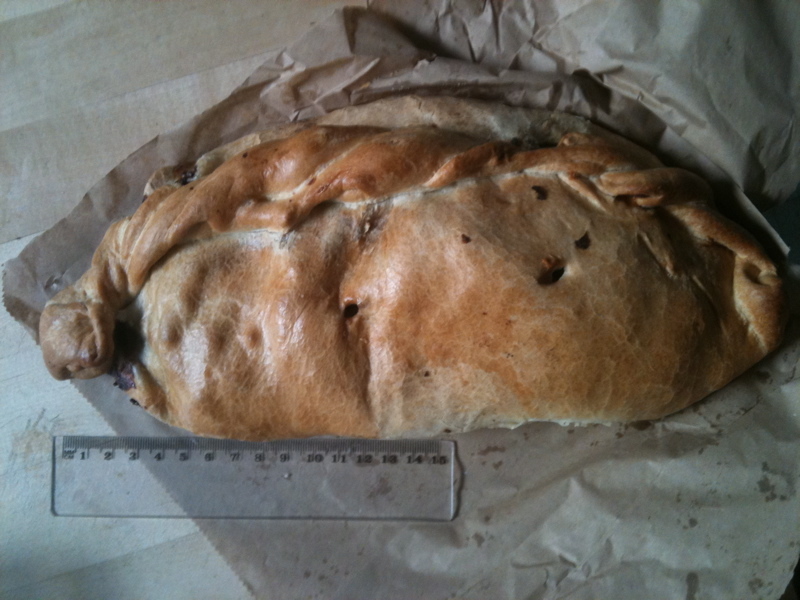 It is a standard ‘large’ pasty from Lavender‘s, which measures in at 30cm long. Twice the length of my hand. 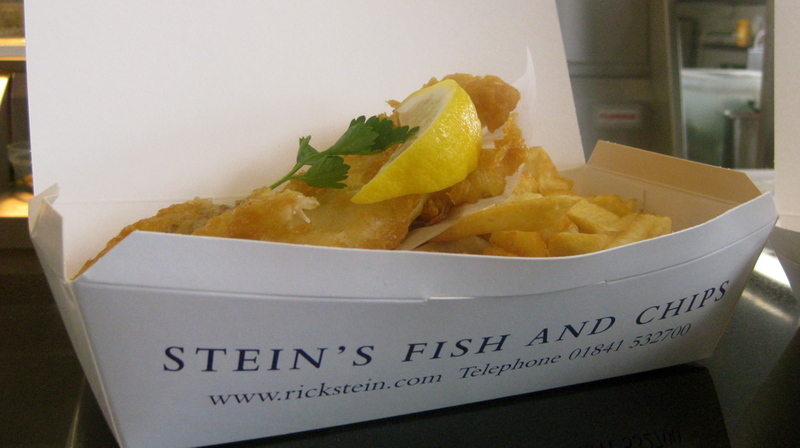 Look no further for a recession-busting family meal. I keep reading about the spectacular worth of the Cornish pasty industry but you know for sure that something’s hit the big time when the Economist dedicates an article to it, as it did yesterday. 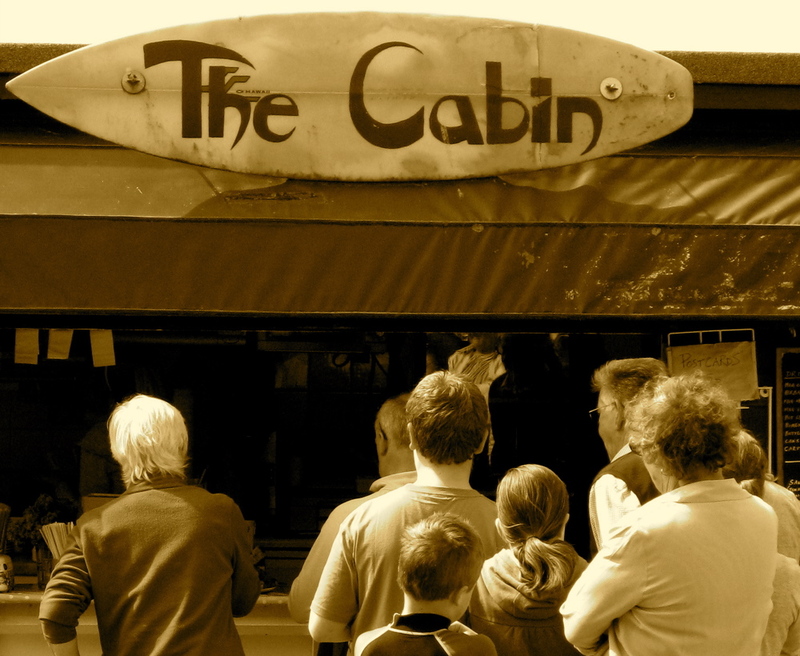 It’s titled ‘The gentrification of the Cornish pasty’ and explores the pasty’s ‘unlikely conquest’. You can read the full article here and may I remind you while I’m at it of the worth of this droll Redruth-based pasty blog: http://theonlinepastyguide.blogspot.com/ I was shocked to read his damning report on Lavenders’ pasties the other week but I defend to the death his right to… er, analyse pasties. It’s changed hands a few times in recent years, so it’s hard to know exactly when to get excited about Sandsifter. The fact the old 2009 website is still up doesn’t help. I liked what the last people were doing in terms of club nights (including the Trojan Sound System, which I was sorry to miss), gourmet burgers, serious spirits, cool design etc etc. I don’t know enough to gossip in any depth about what prompted their quick departure but the sands have shifted again and the white box in the towans at Godrevy is under newish management. 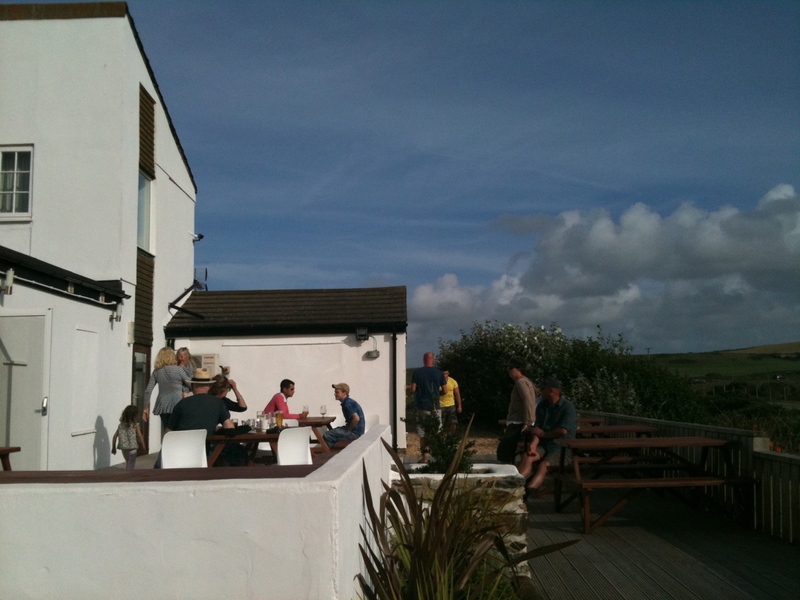 I finally got over there yesterday for a quick drink on the new sea-facing terrace at the back – and it seemed to be a triumph. 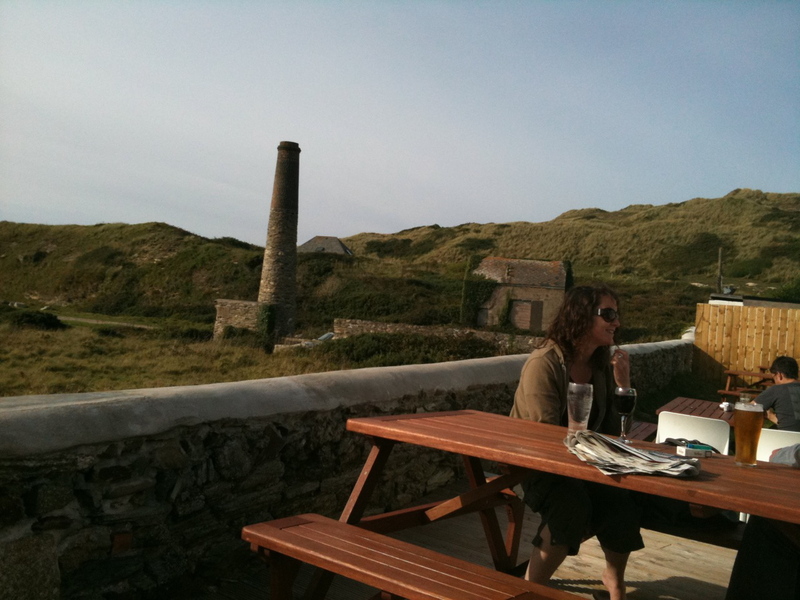 People were mellowing about reading the Sunday papers, listening to the band, drinking Betty Stogs and gazing out over the dunes in the fading September sun. So in my post-surgery survey of places in West Cornwall that I can get to with minimum walking and maximum outdoorsy effect, Sandsifter has gone straight in at number one (can’t comment on food yet, only had a hot chocolate). 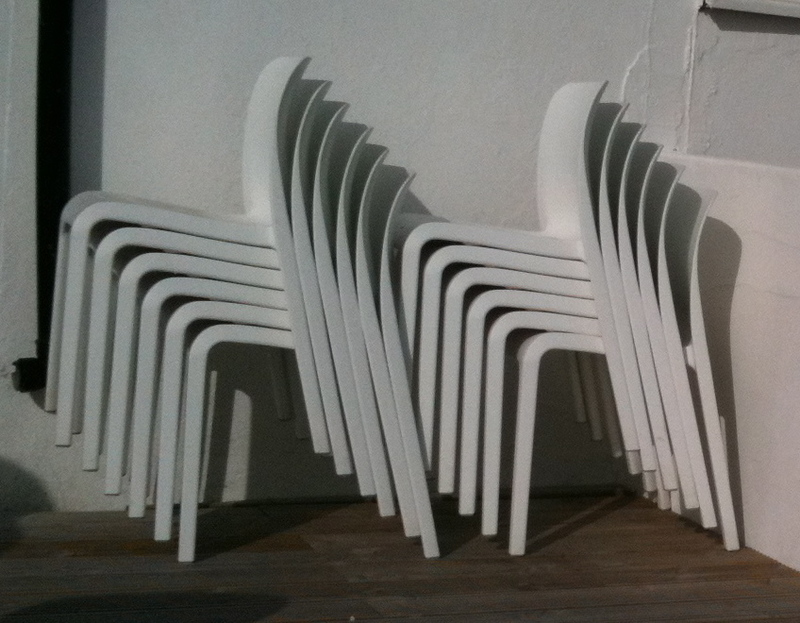 Plus, the outdoor chairs have GREAT lumbar support (below)! As fellow haters of bench seating will know, this is a rare find indeed.